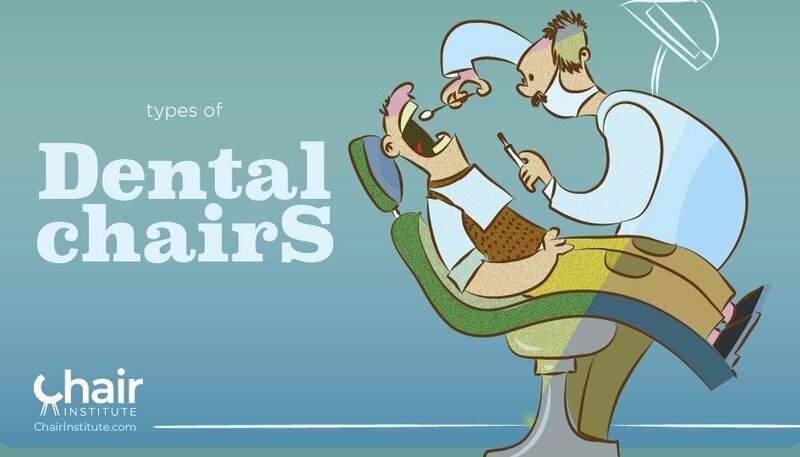 What Is a Dental Chair? The Dental Chair is a specially designed medical device intended to support a patient’s whole body, like a recliner, but articulated, so that the dentist can recline patients to virtually any position. These chairs are set on a pedestal that can often (but not always) swivel and are attached to a Dental Engine, which is a companion device that provides power, suction, water, and the like. As the name implies, regardless of the particular type of d﻿﻿ental c﻿﻿hair, about the only place you find these devices are in Dentist offices and are used to assist the Dentist in performing examinations, extractions, and oral surgeries. To that end, dental chairs can feature a staggering variety of attachments, either on the chair itself, or on the ever-present Dental Engine: spit bowls, suction tubes, pneumatic tube﻿﻿s to power various pieces of equipment used in cleanings and surgeries, and so forth. Modern dental chairs are crafted from a combination of metal and plastic, are often infused with antibacterial propertie﻿s to minimize the risk of infection, and notably have thin chair backs, which allow the dentist to sit on a stool behind the patient to facilitate ease of access. Although there are a staggering number of attachments and options, when you boil it down, there are essentially three different types of dental chairs, defined by the chair’s relationship with the Dental Engine, which is the other critical component of a dental operatory. Ceiling Mounted Design – None of the attachments are on the chair proper, but built into the ceiling, with the chair positioned beneath them. Mobile Independent Design – Wheel-mounted chairs with locking mechanisms, or folding style chairs, designed to be used in mobile operations, typically serving poorer areas of the country. Dental Chair Mounted Design – The Dental Engine and all necessary attachments are built into the chair itself. Oral surgery chairs, which typically feature a foot rest that can be lowered completely. Orthodontic chairs, which are one piece, full-body chairs, articulated such that they can provide a virtually unlimited number of seating positions. The dental chair has a history that dates back to 1790, when an American Dentist, Dr. Josiah Flag﻿g modified a simple Windsor writing chair for use in his dentistry practice. This was essentially a plain wooden chair with a padded headrest, and a small equipment tray added to one side. Before this, it was common practice for dental patients to sit or lie on the floor while an assistant held the patient’s head in place as the Dentist performed extractions or minor ﻿surgery﻿. 1867, Dr. James Beall patented the very first such device in England, crafted of all wood and featuring a footrest and a moderate recline function to allow the Dentist better access to the patient’s mouth. The design remained virtually unchanged until 1958 when Dr. John Naughton invented what would be recognizable today as a modern dentist chair with an adjustable back that would allow the patient to be placed into a prone position. This basic design morphed into the three types of dental chairs seen today. While there have been a variety of other innovations since then, most of these have taken the form of advances in materials science, allowing the chairs to be made out of a variety of new materials, automate the recline feature, and the like. Today’s dental chairs are designed with an emphasis on patient comfort, and to interface with the Dental Engine, which is a companion device to the chair itself, in some cases, built into the chair itself, but more commonly appearing as a separate device, providing power, suction, water, and so forth.